I founded this agency after 25 years of marketing under my belt, in order to help others grow their businesses. I found I had a knack. I figured out how to connect people, and how to draw attention to the important things. And then I started figuring out how to get myself more exposure in less time….to the audience I needed to be in front of. And then I began spreading that gospel. Now, that knack has taken a twist, because people need to be found online in order to be taken seriously these days. It’s about a presence as much as it is about exposure. It’s as much about credibility, track record, great reviews as it is about your services. It’s about traffic and links, Search Engine Optimization, and content, as it is about your brand. A digital marketing strategy that needs to be thought through with your goals in mind, planted, nurtured, watered, branded and tended to consistently and often. OMAGinarium wasn’t named OMAGinarium for nothing. 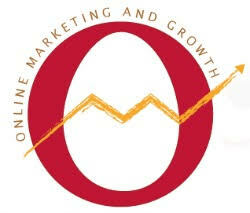 It’s an acronym for Online Marketing and Growth. I’ll bet you didn’t know that. That is my specialty, dregging you up out of Invisible Land, and creating a strategy for you, with you, to be able to grow, grow, grow, without pain, pain, pain.